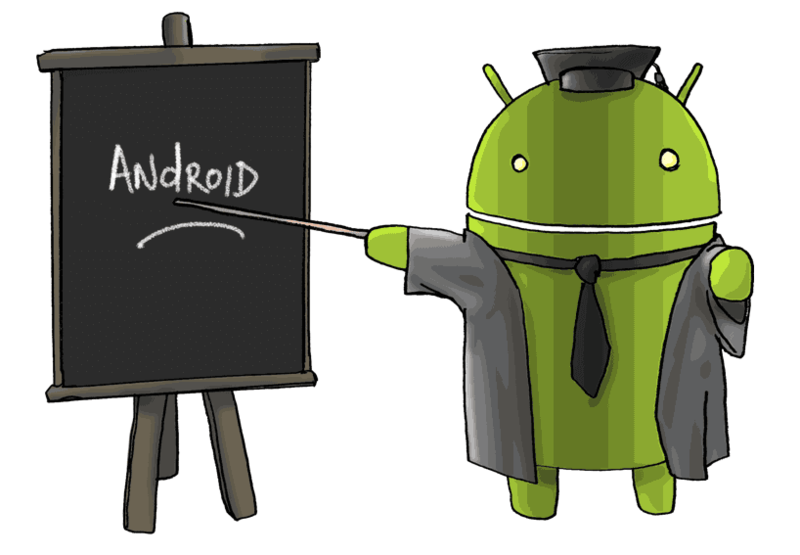 Android app development for beginners can be due to several reasons. I personally started this because I was not always satisfied with the feedback I used to get from developers when I used to report for bugs or for any other update. You mostly have to rely on the developer for each and every other thing. Besides, after the recent issue with Google Play Store where any developer can upload an App showing basic system access, and can, later on, change the permissions without any notification or update is a serious security issue I faced. Actually, at that point in time, I remembered something. I used to use Windows as my daily driver, but due to the infinite amount of bugs in Windows 8 and 8.1, extreme security issues faced by Windows 7 and incompatibility of a lot of Android app development software in Windows 10, I had to switch to Linux. But once I switched, there was no going back. Everything I did in windows could be done in Linux. As a matter of fact, I had more freedom with Linux in customizing almost anything which I did not have in Windows due to the graphic user interface limitations. And this made me think similarly, why not learn Android app development for beginners. It won’t be that difficult, and trust me, it was a wonderful journey learning android app development for beginners, debug it and keep it personal. So, let’s take a look at how to develop wonderful Android app development for beginners. So, before you directly proceed to android app development for beginners, you need to keep few things in mind. First things first, which environment are we gonna use for android app development for beginners. Obviously, you can use the basic Java and Android SDK along with XML and stuff. Or you can simply use Python to compile an app and later cross-compile it into a jar file or convert it into an apk. As for now, I would be suggesting to use the default Android Studio and installing the latest SDK tools using the SDK Manager. Directly getting started with android app development for beginners is, however, something that I would not suggest. I would request you to get an understanding of the basics of Linux first. Although Android is not fully Linux, only a part of it is Linux like the kernel and the structure and stuff, it would still be easier to get going once you have the understanding of the Linux terminal. The primary reason for that is because even if you start with Android App Development for beginners directly, you will reach a certain point when you would need to learn giving permissions to Linux, debug it using the local terminal inside of Android and similar stuff. Especially this comes in handy if you are planning to develop apps that require system or root access. Nope, I am not rehearsing a dialogue from the movie Guardians of Galaxy. What I am talking about here is root access. By default, the android app development tutorial will always have user access. You may wonder as to why you need to know this. The reason behind this is, if you planning to develop multipurpose applications like File Explorers, or System cache optimization app, you would require root access. Root has many forms. It is also known as SuperUser or just Su. In Linux, sudo is different from the default so. But in Android app development for beginners, we developers tend to mix up the same. 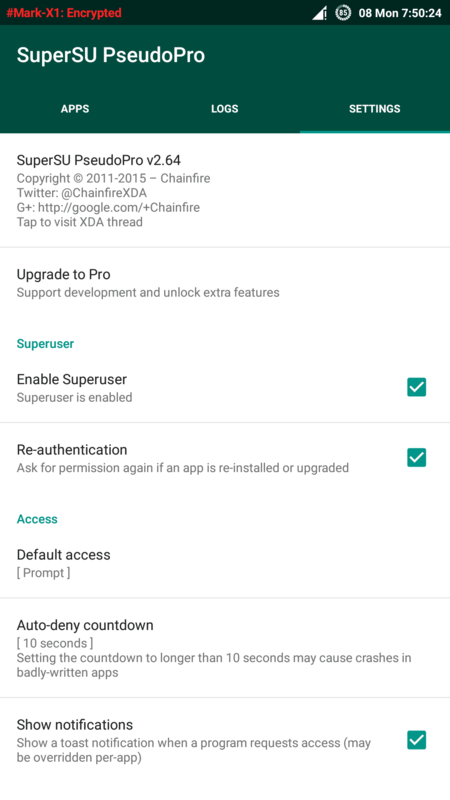 You would require Root permission granting app, something like the likes of Chainfire’s SuperSU. Once you have root access, you can modify the system access files, storage modifications and lot more. So, since now we know enough about android app development tutorial, let’s take a step bit further in Android app development for beginners. 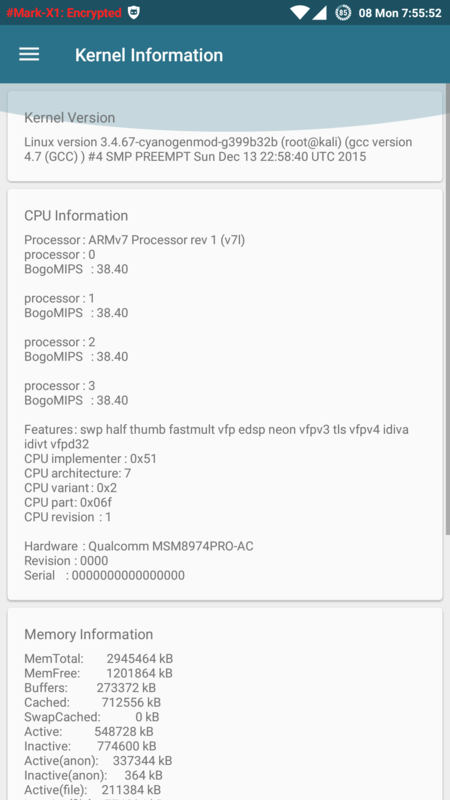 Supporting ROMS, firmware, and flavors as to whether its Lollipop, KitKat or Marsh mellow. Where will it be saving the data, on external sdcard or internal? How would it interact with other apps, if it would interact? How would it run in the background? In cache or in Memory? So, after you have the above things sorted out, we can proceed with further Android app development for beginners stuff. 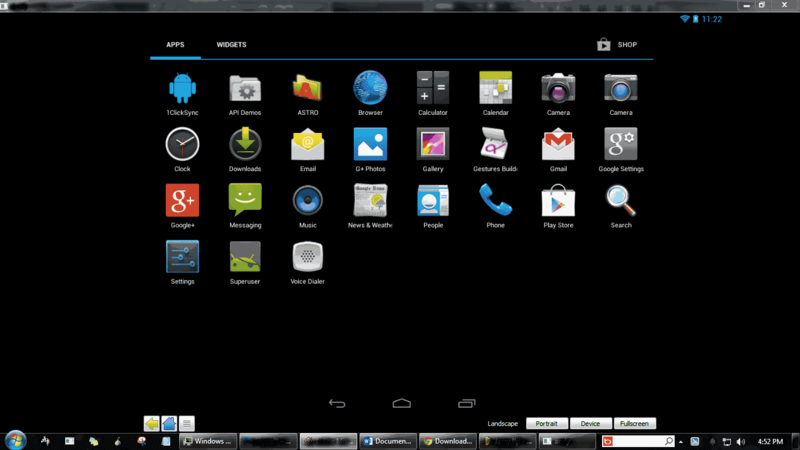 The above pointers I mentioned are the basis for all the android app development software. If you are trying to develop some android app development software for Security and Privacy, you would, however, need to note down few more things like types of encryption, where would it be stored, whether it can be cracked just by using Brute force or other attacks. So, you see that building an android app development software is just not a piece of cake. It is, however, amazing to learn how to build. I was more interested in breaking applications, rather than using it. But that won’t be everyone’s choice, however. Nuf said let’s take a look as to how to get started with Actual android app development for beginners. This is the first step you should know before starting with android app development for beginners. Activities are logistics of the application which provides a screen where the user can interact with so as to do something, for example, say dialing a call, taking a picture, sending a mail, or other similar activities. Every other activity has a given window where it draws its own user interface. This window actually uses the whole screen, but it can be smaller depending on the app or even lay above other windows. Normally an application comprises of a lot of activities that are independently bounded to each other. And thus, one activity out of those multiple activities is termed as the ‘main’ activity, which the user interacts with when using the application. All activities can start each other so as to perform multiple actions. Every time a new activity is started, the last activity is terminated, without the user knowing the fact that the system saves the activity as cache in a stack known as BackStack. And whenever a new activity is started, it is stuffed to the BackStack. This stack then runs on the basic LIFO methods (last in first out). Thus, when the user’s work is done and he presses the back button, it is pushed back to the stack and the activity before that resumes its play. This is the second level you should know before starting for android app development learning. API or Application Program Interface Level is just a numeric value which has a unique identity. Every Platform has a different one depending on whether if two platforms are not joined together. The basic android app development learning would provide a platform to gives an API that different applications can use to interact with the actual Android system underlying within the device. Every version of the Android platform like lollipop 5.0, 5.15.2, includes upgrades to the Application framework that it supports. Upgrades to the framework application are architected in such a manner so that even the latest API remains compatible with any previous versions of the API. The reason for this is because most of the modifications in the API are additionally added and introduced as new or is totally replaced. Thus, even if most of the parts of the API are updated, the older parts are deprecated but are still kept, so that dependent applications can still use them. In extremes of cases, parts of the API are either totally modified or removed. This is only done to ensure the importance of Application or System Security. Remaining API parts from all other platforms are carried forward along the other Android app development software parts. The framework API which is used by the Android platform uses specific numerical number known as the API Level as termed above. Every Android platform supports only one API Level, besides the fact that it has support for all previous versions of API Levels (till API Level 1). The first release of Android platform Base has API Level 1 and has been upgraded with various releases which have incremented the API Level by one. All applications have a Manifest file which is an XML file with the AndroidManifest file name in its SuperSu that is its root directory. This specific file contains important information related to your Android app development software which gives information to the Android System. This is the third steps you should know before starting with android app development for beginners. This information is that specific code that all the system must which is required to run any Application code. It actually defines the Java package required to run the application. This name here i.e. the Java package, it acts as a unique identity for the android app development software. The Java component references the parts of the application such as the running Service, Activity, broadcasting and many more of which the application is actually made of. It differentiates the types of classes that execute each of these specific parts or components and prints as to what they can actually do, my point is like saying the messages that they work on. This stuff tells the System what these components do and when and why they need to be executed. It only executes those processes which are required by the application. Required permissions for the application are then set, so that it does not have access to private documents and other protected components of the API and unnecessarily activate other applications eating up memory and consuming resources. It also restricts permissions to other applications in case it needs to interact with other applications. All of these things are only present in the manifestation file when the application is being developed by the developer. Finally, it is removed before the application is actually published on the store or elsewhere. One should always try to make sure that they externalize the resources of the App. Externalization means stuff such as strings from your code or images, logs, and similar stuff are stored independently. Besides these, also make sure that you introduce alternative resources for different device configurations, by dividing them into groups in a specific directory. Because when these programs are executed, the android system needs to use the proper resource-based configuration. A simple example can be given in the form of like say, for different devices, you need to have different screen sizes and for different regions, you need to set different languages. This is the last steps you should know before starting with android app development for beginners. So, these are a few things you need to keep in mind before starting android app development for beginners. Rest all comes with time and experience. Most of the people get stuck in the manifest file part, the reason being allowing permissions to run itself is fine, but when interacting with other apps, the developers need to be more cautious. This has been a guide to Android app development for beginners Here we discuss the Procedure and Pre-requisites of Android app development for beginners.